As Jesus was walking beside the Sea of Galilee, he saw two brothers, Simon called Peter and his brother Andrew. They were casting a net into the lake, for they were fishermen [possibly at that favorite fishing spot where the Church of the Primacy of St. Peter is now]. “Come, follow me,” Jesus said, “and I will make you fishers of men.” At once they left their nets and followed him. Lord Jesus, You are calling me to follow You more closely, to serve You more enthusiastically, and to evangelize by spreading more of Your love and Your truth to all those around me. I give You my YES! I will do it! Amen! 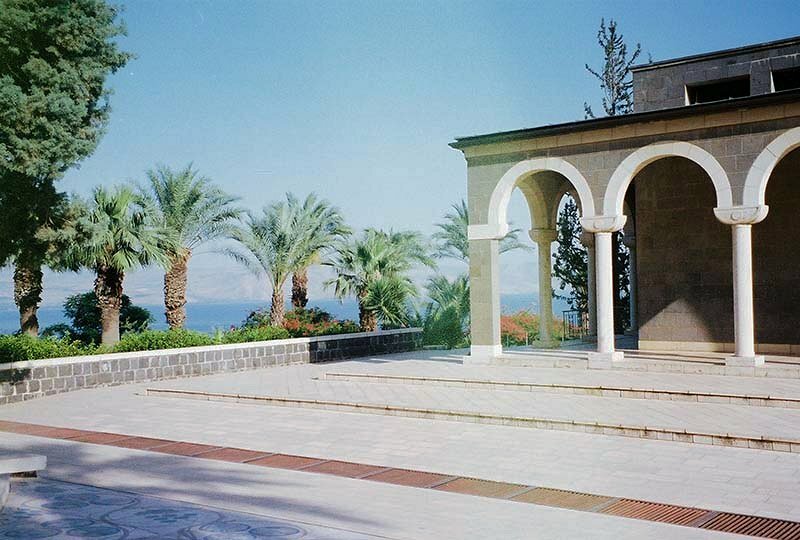 This photo shows the sanctuary inside the Church of the Beatitudes. 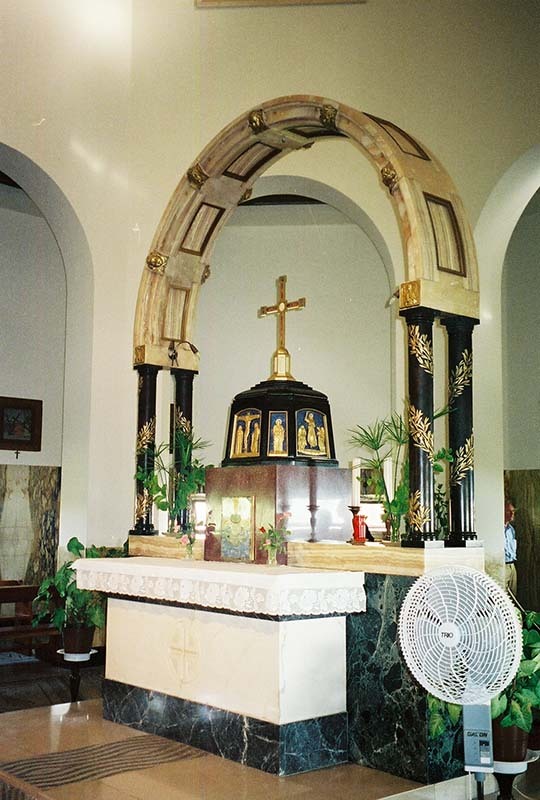 Click on the Tabernacle where the Eucharist is kept to celebrate Mass in an outdoor chapel!